When some teachers hear centers in middle school or on a secondary level it is sometimes sounds like a foreign language but it is doable. I take advantage of centers in my class to help me to achieve Tiered Instruction. Tiered Instruction can be adapted to any grade level or subject area. Tiered Instruction can also work with or without the implementation of centers or stations. 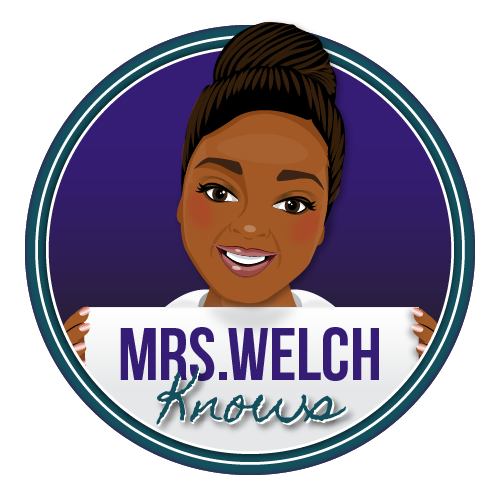 I began using Tiered Instruction years ago when Super Teacher Worksheets was free for everyone and I was teaching in Shreveport, LA with a full hour and a half per class period. With the use of Super Teachers Worksheets creating tiered assignments and activities was nearly "no prep." 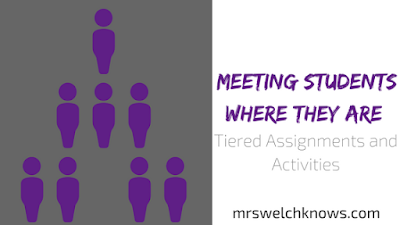 I would like to share some ideas that can make planning tiered assignments or activities a breeze. 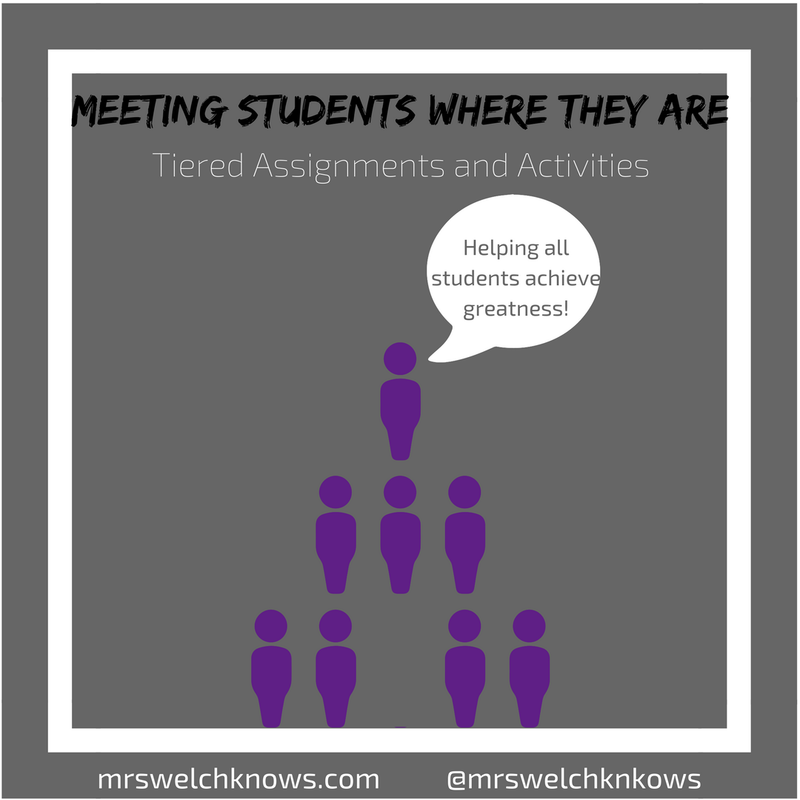 Tiered assignments or activities have the same learning goal. An example of this can be, "Students will be able to write and solve equations to model the relationship among variables in a given scenario." The following example problems came from Kuta Software. Tier 1: Students have no understanding. Students will create and solve simple 1-step equations using a graphic organizer. Sample Problem: Your mother gave you $13.32 with which to buy a present. This covered 3/5 of the cost. How much did the present cost? Tier 2: Students needs reinforcement to build of current understanding. Students will create and solve 2-step equations. Sample Problem: 331 students went on a field trip. Six buses were filled and 7 students traveled in cars. How many students were in each bus? Tier 3: Students have a firm understanding and can extend their understand to new applications. Students will create and solve 2-step equations and set up a graphic representation. Sample Problem: The school that Stefan goes to is selling tickets to a choral performance. On the first day of ticket sales the school sold 3 senior citizen tickets and 1 child ticket for a total of $38. The school took in $52 on the second day by selling 3 senior citizen tickets and 2 child tickets. Find the price of a senior citizen ticket and the price of a child ticket. One thing I have always offered is a chance to advance to the next level. Students may master their level quickly and I would like to try out the next level. I think that students are proud of themselves when they are able to move ahead. This strategy creates a sense of accomplishment. I am a math teacher but I've seen Andrea Adams from English Middle School Mania use graphic novel to differentiate and offer tiered activities. Check out my list below for more ways to create tiered lessons in your classroom. I've also seen different levels of closed notes used in history classes. Offer assignments/activities with different challenge levels. This is like my example above. Each tier has the same goal but the next being more difficult than the one that it follows. Offer different resources for the task you'd like students to complete. Offer different companion text based on the needs of your students. Can also offer manipulatives as well. Change the product outcome. One group may be expected to create a poster but another group is required to create sample questions with answers and explanations. Allow students to complete assignments/activities with different complexities. A simple application can be with one assignments but on group complete the first half, another group completes the last half, while the last group complete all the odd or even problems. This works well for me because many of my assignment increase in difficulty when all the problems have the same learning goal. Plan assignments/activities with different processes. Students have a common goal but the process to getting there may be different. This will work with mixed level groups and every student has a different job in their group. In the end they can come together with one product for one common goal. What do you think about Tiered Instruction? 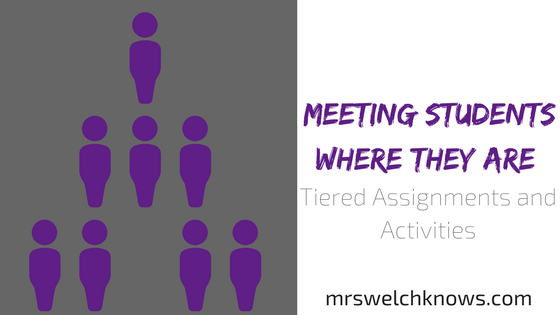 Leave some ideas below for activities that you can do that are differentiated using tiered assignments/activities. Let me know if you'd like to see some of the tiered lessons that I have created.